Pokemon Go is a huge hit. It has added $11 billion to Nintendo’s value since its release five days ago. But its success has also crashed the games’ servers, and caused its makers to “pause” its global roll-out. That means it’s only available to gamers in the US, Australia, and New Zealand right now. Bug fixes and privacy concerns addressed, but still no official date when to release globally. The Pokémon Go app has been updated. The pocket monster series' first augmented reality game has seen monstrous popularity amongst smartphone owners -- climbing to the top of iPhone and Android app store charts. The Pokémon mobile game seems to be the most popular of recent years (at least for this week). And this is in spite of privacy concerns (those who log in via Google will find that the game requests full access to your account). The game's developer, Niantic, promised yesterday that this would soon be addressed and the devs have delivered. Version 1.0.1 of the Pokémon Go app has finally hit your favorite smartphone app store. Pokémon Go players on iPhone can grab the latest update here while Google users can locate their respective version on the Play Store. According to the release notes, 1.0.1 will reduce just how much Google data Pokémon Go can see and change. We’ll let you know when Pokemon GO’s new update is live on Android. Niantic CEO John Hanke said the developer is aiming to update the game on a bi-weekly basis, with a variety of large and small changes to come. 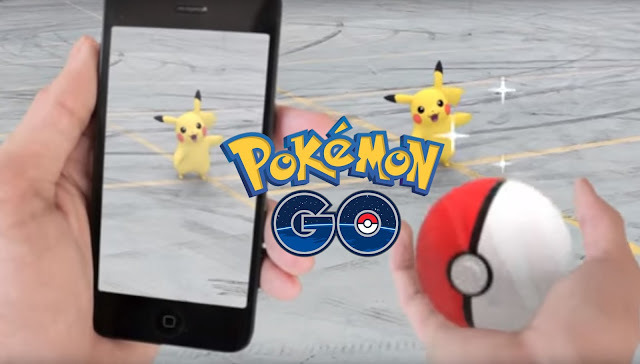 Niantic is also addressing the game's battery and GPS location issues. Trading, leaderboards, and more feature updates have also been teased as future additions to Pokemon Go.